Is your street appeal in need of a facelift? Brisbane Home Landscaping is proud to provide premium quality landscape construction services throughout North Brisbane Suburbs. The team at Brisbane Home Landscaping have been the leading landscape construction specialists for over 30 years and have accumulated a wealth of experience in both residential and commercial landscaping. Dedicated to providing quality landscape construction services to clients wanting landscaping excellence and flair – that will stand the test of time, improving on your investment and provide a lifestyle to be enjoyed not only by yourself, but also appreciated by others. With a specialty in constructing strong, quality retaining walls for function and decorative purposes including renovating collapsing retaining walls, as well as new paving and repair work on paved and tiling projects for both residential and commercial properties. This can include paved driveways, paved outdoor living spaces, paved pool surrounds and paved stairs or walkways. Are you ready to have your new Landscape project started? 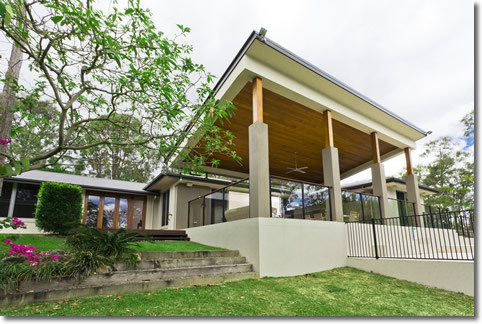 A one-stop residential landscape construction company based in North Brisbane - you can trust the locals. Plus we are fully licensed. Call Now! Send a message! Read Our Blog!